Discover you question from underneath or present your inquiry fromt the submit box. Company’s checks, credit cards (VISA, MasterCard and American Express), personal checks, ACH and wire-transfer. What is your lead-time after I place a purchase order? Usually take 2-3 weeks. If it is needed to make a mould, it may take a longer time. For a large production quantity purchase order, say ten thousand pieces, it may take a longer time. Can I have a free sample of your magnets? Our company’s policy does not allow us to send out free samples. We keep our operation overhead low, so that we can offer our customers with our quality magnets at very competitive prices. 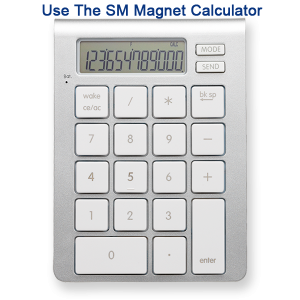 How do I pick-up the magnets I need, if you do not list the magnet sizes on your webpage? What is your minimum order in value? How long will it take to receive your price quotation? Can I have a catalog of your magnets? Unfortunately, we do not print product catalogs. Please refer to above question to decide the magnets you need. Do you supply permanent magnets with standard sizes?